As I walked to the train earlier the week, I saw an eighties Mercury Grand Marquis sedan idling on Chestnut Street in Philadelphia. It stood out because of its size (at 214 inches these cars are more than a foot longer than a 2018 Lincoln Continental) and its new for 1979 squareness. Reason enough to write a (rare) Mercury blog entry (my only other one so far is about the 1986 Mercury Capri). 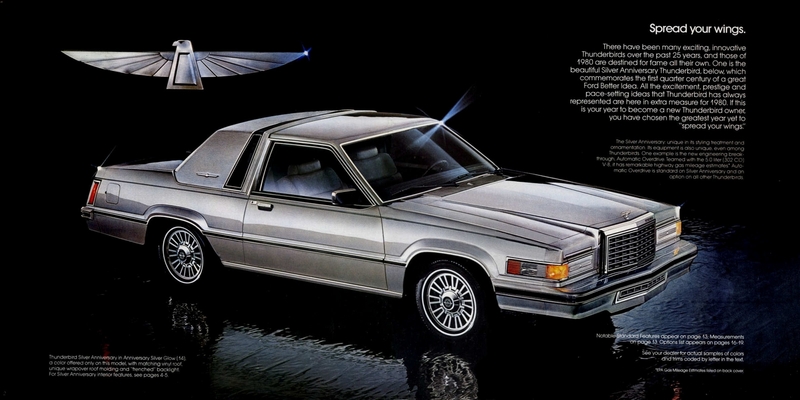 For 1983, Mercury renamed all versions of the full-size Marquis to Grand Marquis and moved the Marquis name to the mid-size Fox platform. Other than the name change, changes for the Grand Marquis were relatively modest: there were new full-width wraparound tail lamps and a modified grille. New options included a remote locking fuel filler door ($24), locking wire wheel covers ($168), and a Tripminder trip computer ($261) which showed month/day/time, elapsed time, average speed, average MPG, instantaneous MPG, and gallons of fuel used. In their annual “Charting the Changes” roundup, Car and Driver once again made the ritual complaint that there was still no de Sad package. The standard engine in 1983 was Ford’s 130 bhp 4.9 liter/302 ci V8 with fuel injection paired to a four-speed automatic. Somewhat strangely to our modern eyes, the optional power upgrade was a carburetted version of the same motor with 145 bhp. These were not fast cars—with an almost 3,800-pound curb weight, 0-60 came in about 12 seconds. Mileage with the standard powertrain was 17 city/27 highway by the standards of the day (14/20 by today’s standards). With the 18-gallon fuel tank, Grand Marquis drivers could expect a range of 275 to 355 miles with a 10% fuel reserve. Standard exterior and mechanical equipment on the $10,718 Grand Marquis (about $26,900 in today’s dollars) included a coach vinyl roof, coach lamps, halogen headlamps, power brakes (front disc and rear drum), power steering, and P215/75R14 steel-belted white sidewall radial tires on 14-inch wheels with deluxe wheel covers. Inside, cloth/vinyl Twin Comfort Lounge seats with dual front seat recliners, a four-spoke luxury (the Grand Marquis brochure mentioned luxury a lot) steering wheel, an analog quartz clock, and an AM/FM stereo radio with four speakers were included. Standard items that Mercury proudly listed that do not impress in 2017 included a front stabilizer bar, seat belt warning chimes, and carpeted lower door trim panels. Upgrading to the $11,273 LS added tinted glass, luxury cloth Twin Comfort Lounge seats, cloth-trimmed headrests, right-hand visor vanity mirror, map pockets in front seatback, luxury door trim with armrest woodtone inserts and courtesy lights, dual beam dome/map light, dual fold-down front center armrests, rear-seat folding center armrest, and the all-important LS badge on the rear decklid. Exterior and mechanical options included the Traction-Lok differential ($95) and cast aluminum turbine spoke wheels ($361) which required P205/75R15 tires ($17). Interior options included manual air conditioning ($724), automatic air conditioning ($802), 6-way power driver’s seat ($210) or driver’s and passenger’s seats ($420), power door locks ($123), fingertip speed control ($170), and tilt steering wheel ($105). Audio options included a host of optional radios with 8-track or cassette player, a power antenna ($60), and Premium Sound System with two additional speakers in the front doors, upgraded rear speakers, and an extra power amplifier ($175 base/$145 LS). Leather seating surfaces ($418) were only available on the LS. All these options meant that a loaded Grand Marquis LS could quickly get close to the Lincoln Town Car’s pricing territory—I quickly priced one to $14,584 (about $36,700 in 2017 dollars). 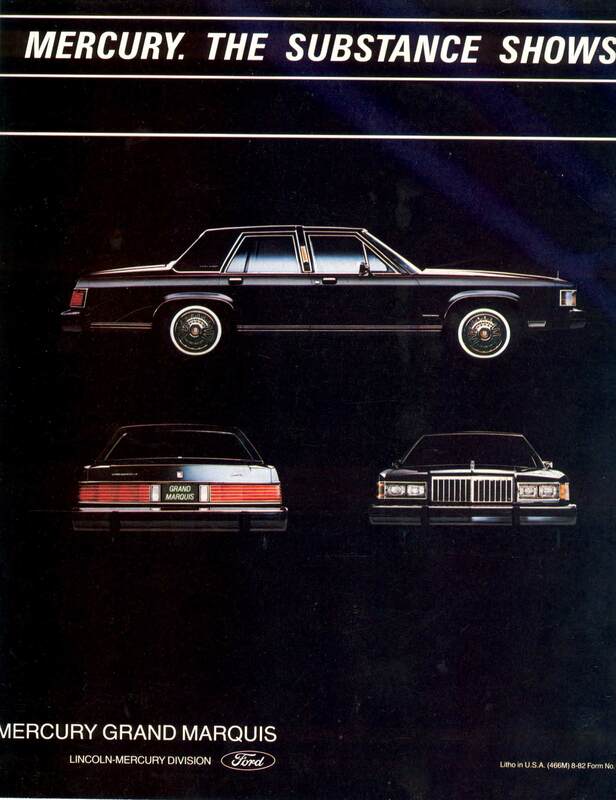 The rear cover of the 1983 Mercury Grand Marquis brochure, linked from the Old Car Manual Project’s amazing brochures pages. 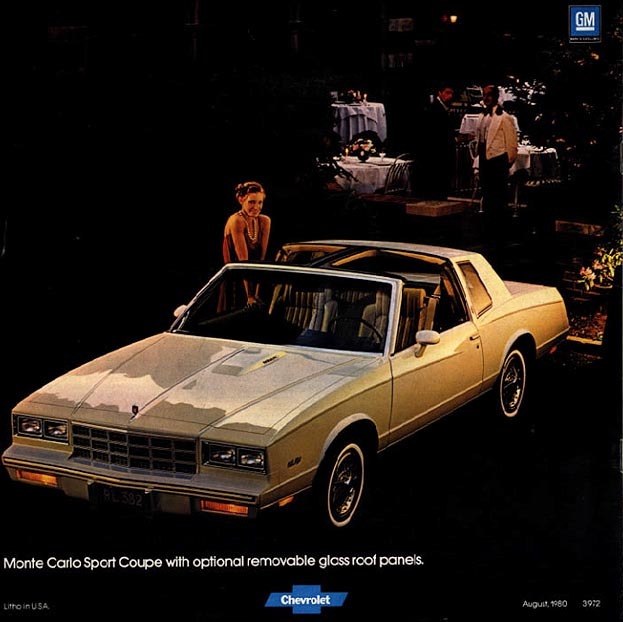 The Grand Marquis sold well for Mercury in 1983—72,207 sedans, 11,117 coupes, and 12,394 Colony Park wagons made it one of the division’s best sellers—23% of sales in a year when Mercury also offered the Capri, Cougar, LN7 (remember the LN7? ), Lynx, Marquis, and Zephyr. The first-generation Grand Marquis sometimes shows up for sale in the Hemmings Motor News classifieds and on eBay Motors. Make mine Midnight Blue Metallic, I think. Barrett-Jackson’s second Northeast auction at the Mohegan Sun casino in Connecticut in late June 2017 included a 1982 black Oldsmobile Toronado Brougham coupe with a tan interior, a 5.0 liter/307 ci V8, an automatic, and 12,000 miles. It sold for $10,000. I can’t remember the last time I’ve seen an eighties Toronado up for auction, though the “sister” Buick Riviera and Cadillac Eldorado are often present. Time to write a blog entry, methinks. For 1982, Oldsmobile gave up on the (slightly) sportier XSC variant that they had offered for two years and made the Brougham the only available version. Changes included a new chrome/argent grille with more horizontal bars, a new memory seat option with two memory positions, a revised instrument panel, and a new optional radio. The standard engine was a 125 bhp 4.1 liter/252 ci V6 with Rochester four-barrel carburetor. Optional power included the 140 bhp 5.0 liter/307 ci V8 with Rochester four-barrel carburetor at no additional charge and the (don’t do it!) 105 bhp 5.7 liter/350 ci diesel V8 ($825). A four-speed automatic transmission with overdrive was standard with all three engines. The Toronado was not light—curb weight was 3,705 pounds—so even with the more powerful V8, 0-60 mph took about 13 seconds. With the gasoline V8, mileage was rated at 16 city/27 highway by the standards of the day; with the 21.1-gallon fuel tank, Toronado owners could expect to travel about 400 miles with a 10% fuel reserve. Standard exterior and mechanical equipment included in $14,462 base price (about $38,000 in today’s dollars) included power disc brakes and P205/75R15 tires (still readily available) on 15 by 6-inch steel wheels. Inside, air conditioning, cruise control, tilt steering wheel, and divided cloth seats were standard. Options included Twilight Sentinel ($57), Tempmatic air conditioning ($50), power Astro Roof with sliding glass panel, and leather seats. 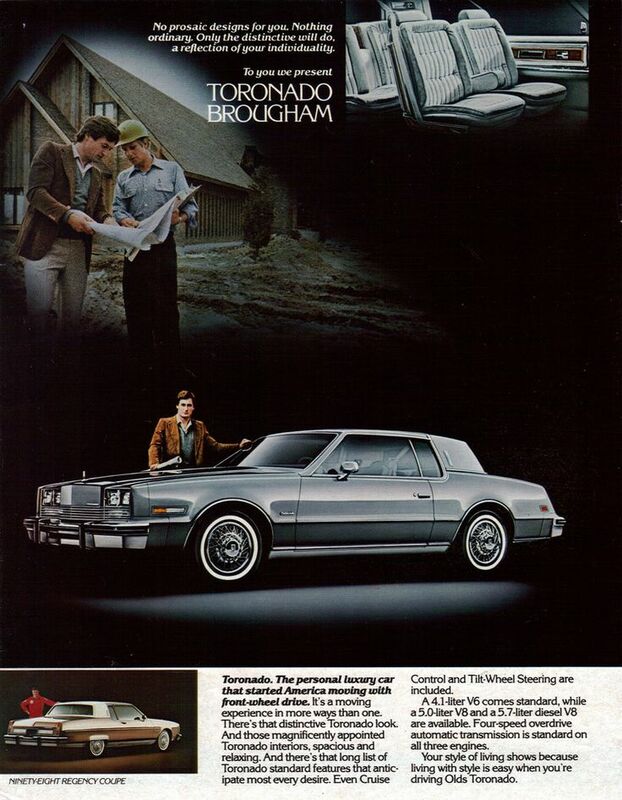 Oldsmobile sold 33,928 1982 Toronado Broughams, down from over 42,000 the previous year. In 1982, Buick sold 42,823 Riviera coupes along with another 1,246 convertibles while Cadillac sold 52,018 Eldorado coupes, so the Toronado was not holding up its end of the E-body platform bargain. 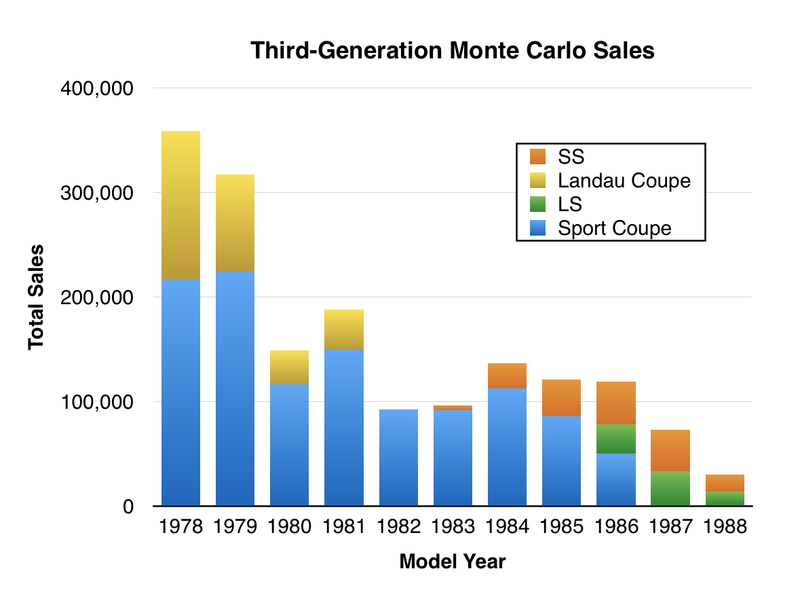 Third-generation Toronados from 1979 to 1985 have a following, though (a little strangely) models after 1980 are not rated in Hagerty’s valuation tools. These Toronados sometimes show up for sale in the Hemmings Motor News classifieds and on eBay Motors. 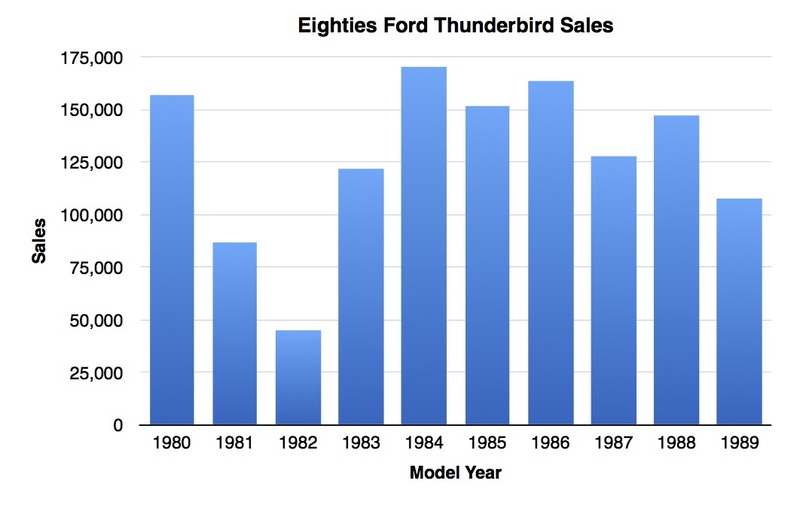 When I wrote this blog entry in July 2017, Hemmings was listing a 1983 Toronado Brougham with a champagne exterior and red cloth seats for $9,900. I like these big coupes, though I think the Toronado may have too closely resembled the Eldorado for its own good—something that had not been true in the 1960s. Make mine Medium Slate Firemist, please.